New sign at the Edge, corner of North 5th & Kent. 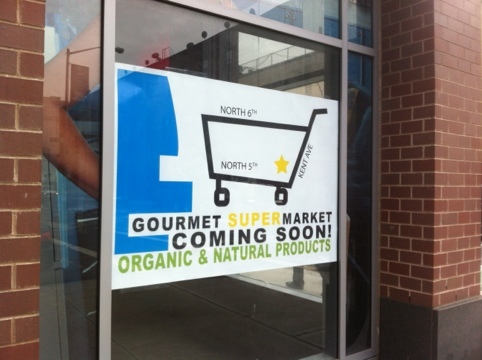 Looks like there is finally a supermarket coming to Kent Avenue. But it’s not a Whole Foods (or sure doesn’t look like one), and it’s coming to the Edge, not Monster Island. Are they going to be application for jobs Available..? I don’t know Lulu – the supermarket is under construction, I’d suggest you stop by to see if anything is posted.